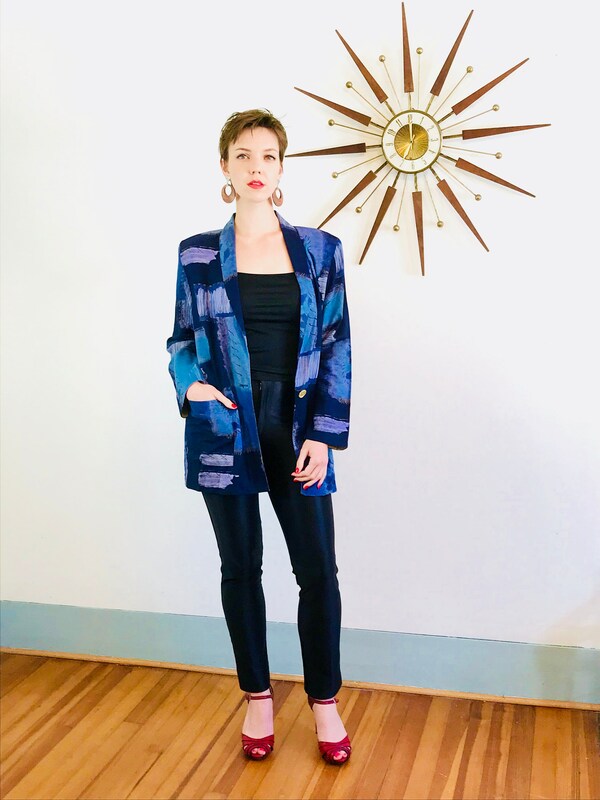 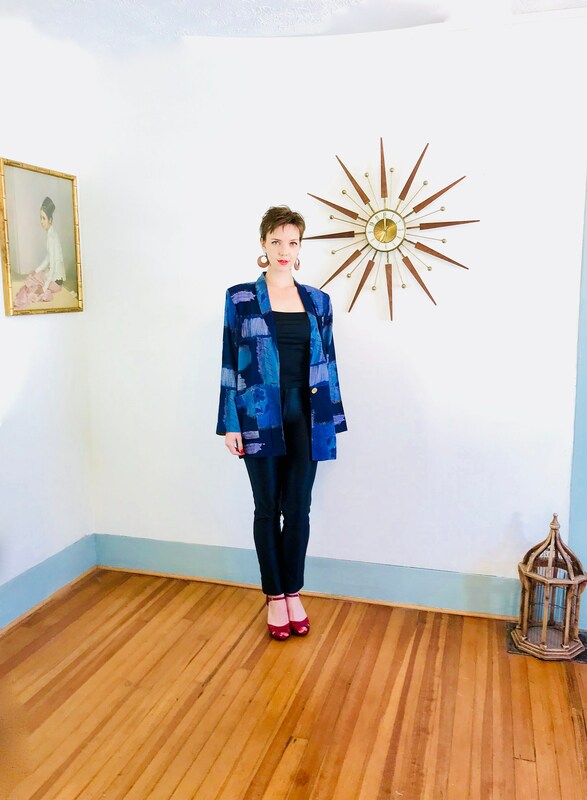 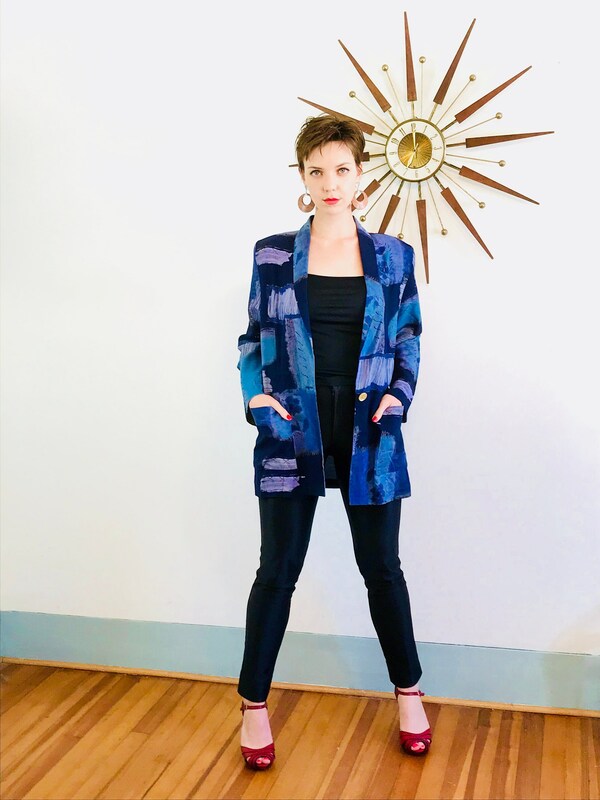 This is such a great Vintage 90s blazer! 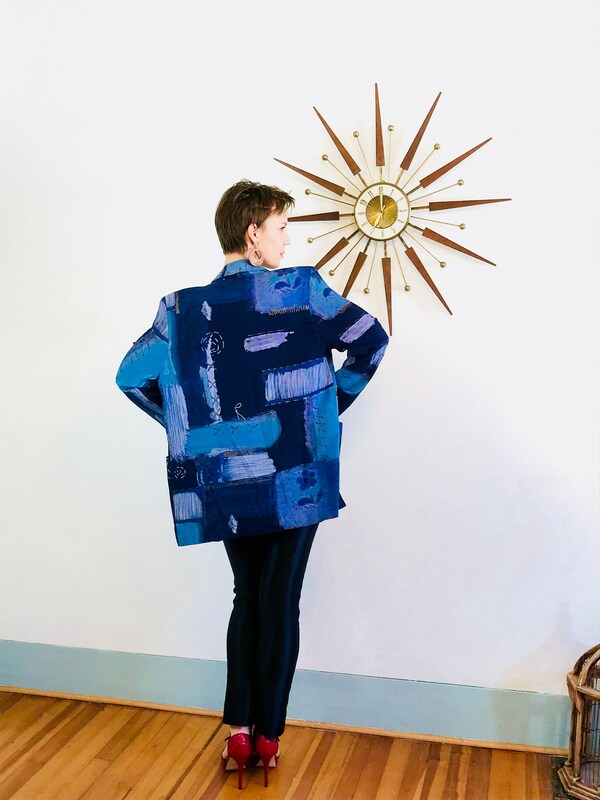 This Abstract print jacket is by Kensington Square. 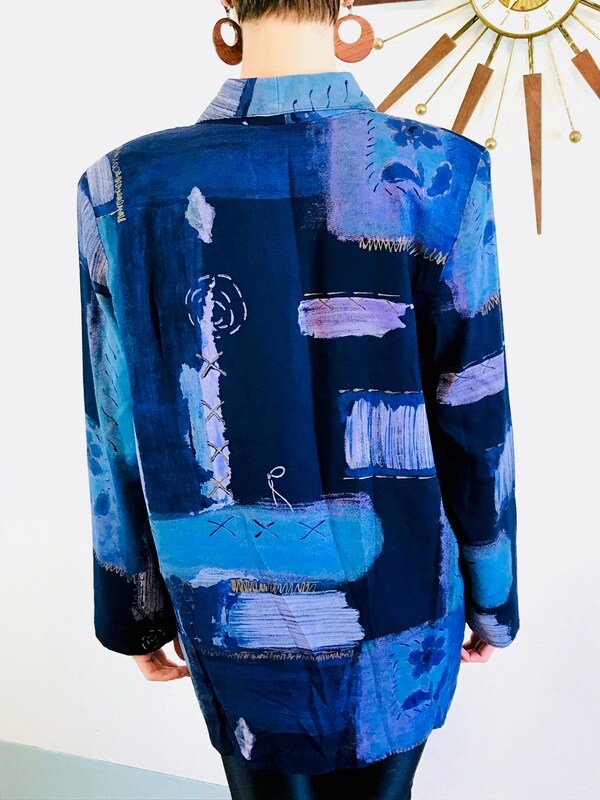 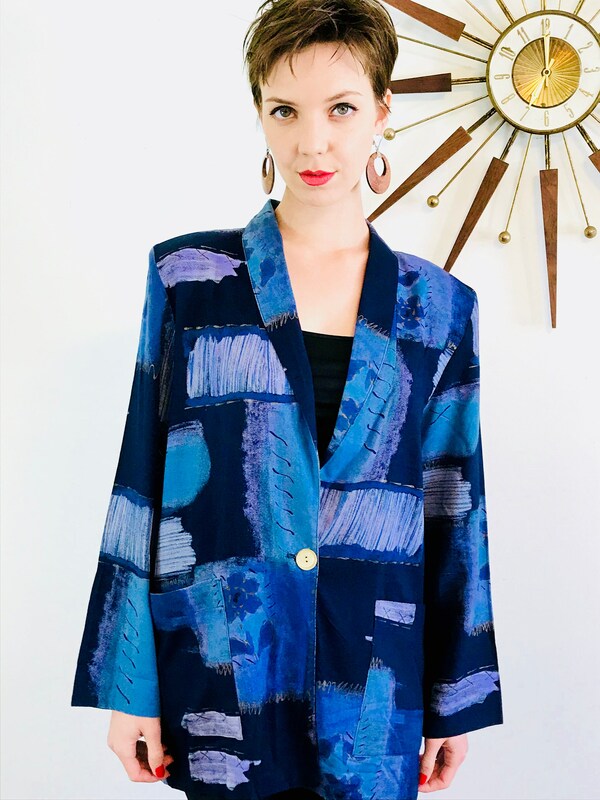 This boxy ladies blazer has an abstract Water color print it Blue, Purple and Black. 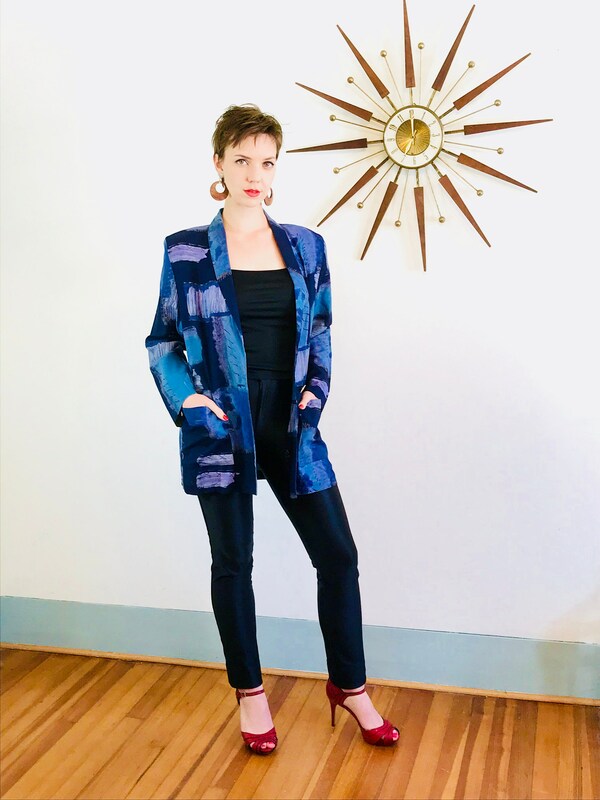 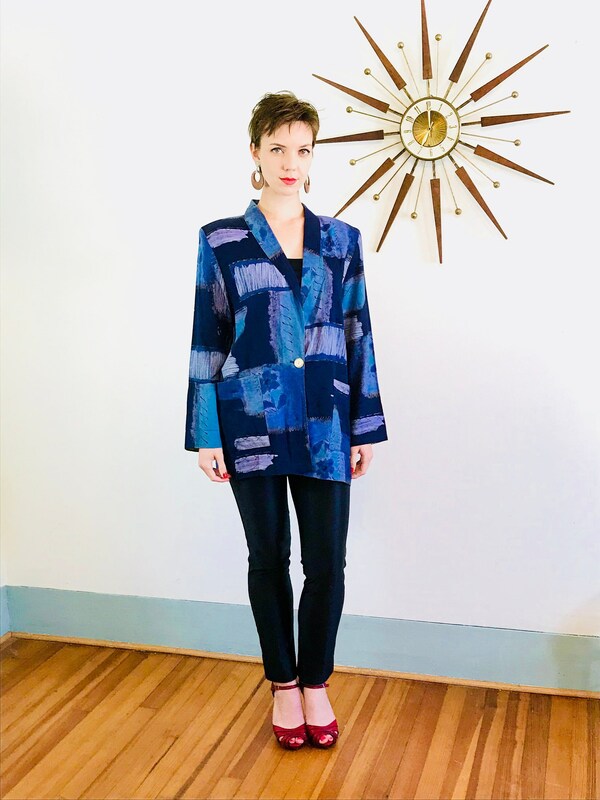 This Silky Rayon Jacket has that perfect oversized 1980s look with its big shoulder pads! 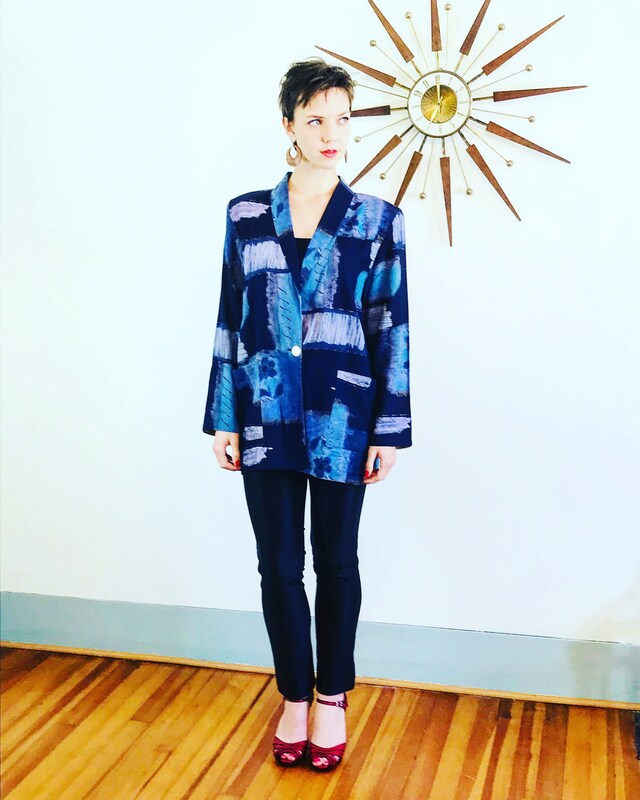 It would be so perfect with skinny jeans and short little boots!